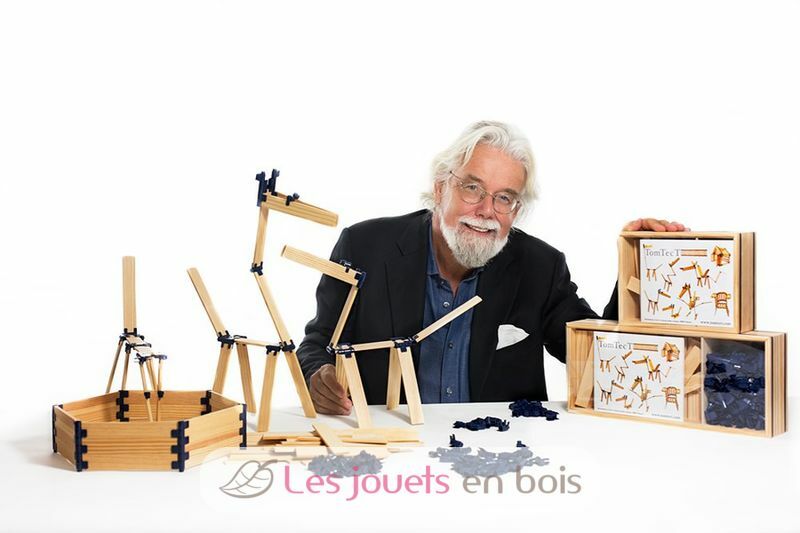 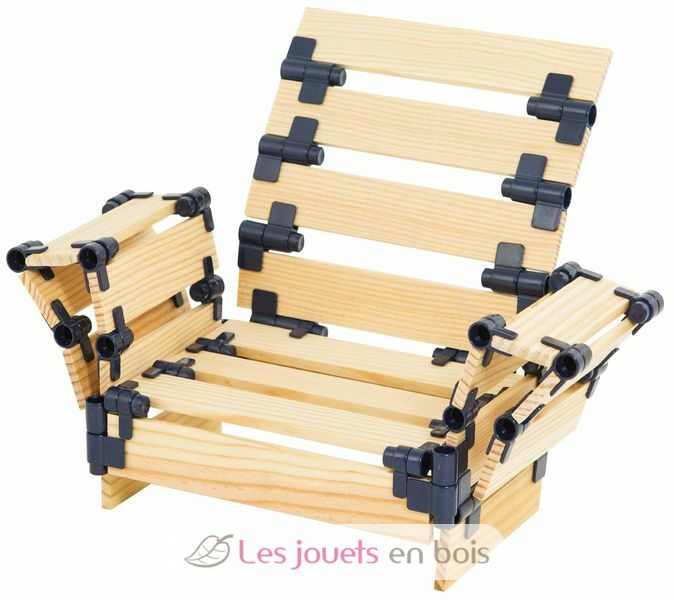 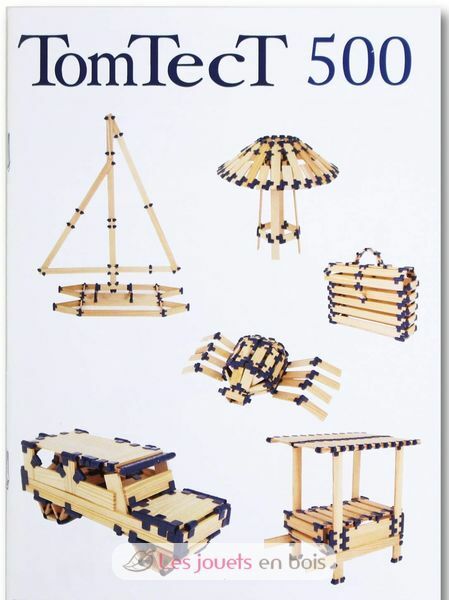 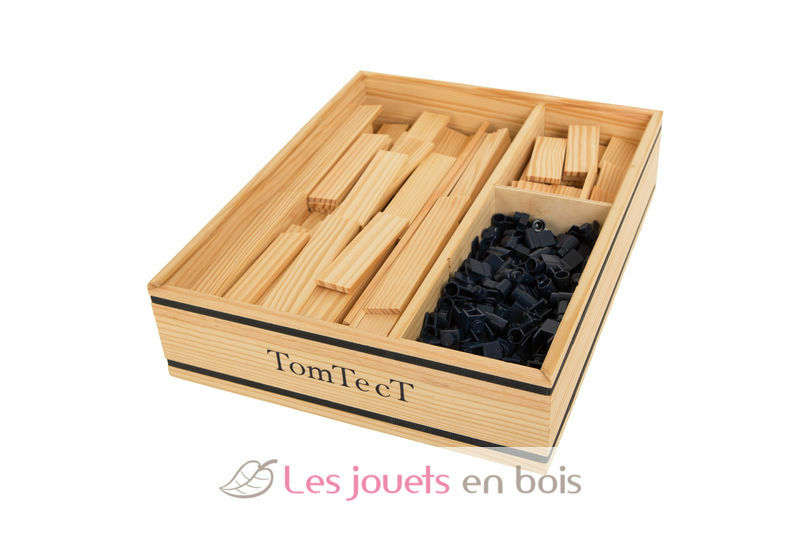 The TomTecT 500 box has 184 precision made planks in 7 different lengths, 60 small hinges, 150 large hinges, 80 double hinges, 30 triple hinges and an instruction booklet. 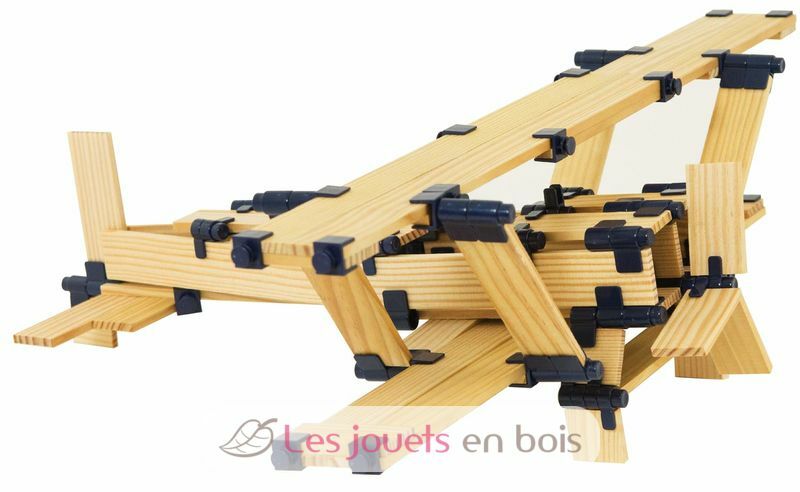 The latest “triple hinges” allow you to connect three planks together. 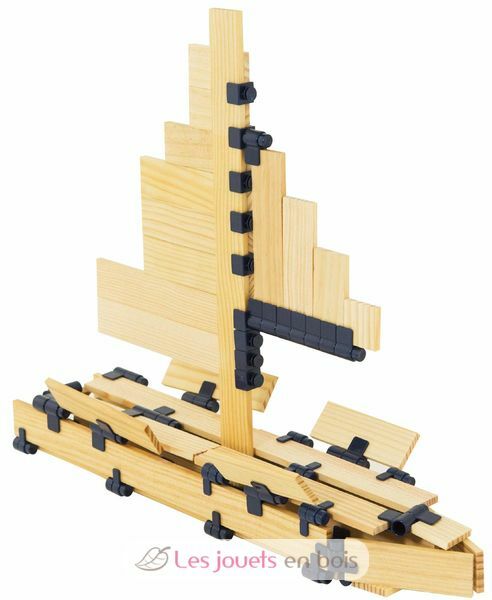 You can let your imagination take over creating fun and unlimited possibilities!